On this week’s Social Media Marketing Talk Show with Michael Stelzner, we explore Facebook ad updates with Amanda Bond, Instagram updates with Jeff Sieh, YouTube fan sponsors with Steve Dotto, and other breaking social media marketing news of the week! If you’re new to the show, click on the green “Watch replay” button below and sign in or register to watch our latest episode from Friday, September 22, 2017. You can also listen to the show as an audio podcast, found on iTunes/Apple Podcast, Android, Google Play, Stitcher, and RSS. Facebook’s new Dynamic Creative system helps advertisers discover what combination of creative assets performs best for their audiences. 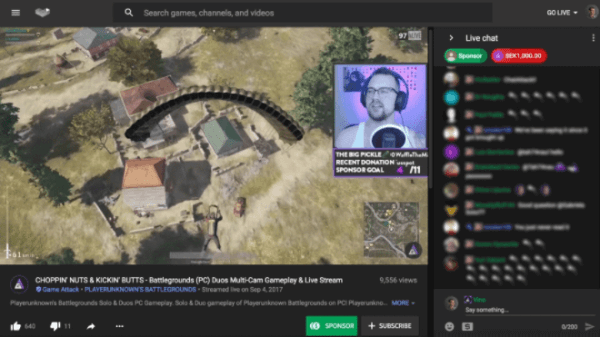 YouTube introduces fan sponsorships to the YouTube Gaming channel. Instagram rolls out the option to add visual backgrounds to text posts in Direct. Pinterest Taste Graph Expands Interest Categories for Ad Targeting: Pinterest launched a new ad product within the Pinterest Taste Graph that has the power to surface over 100 billion pins based on a pinner’s interests. With the rollout of this new tool “in the coming weeks,” advertisers will have access to over 5,000 interest categories with which to target campaigns. Adweek reports that initial testing has shown that these new “super-targeted” ads increased click-through rates by 50% and dropped the cost per click by 20% for brands like Nordstrom. 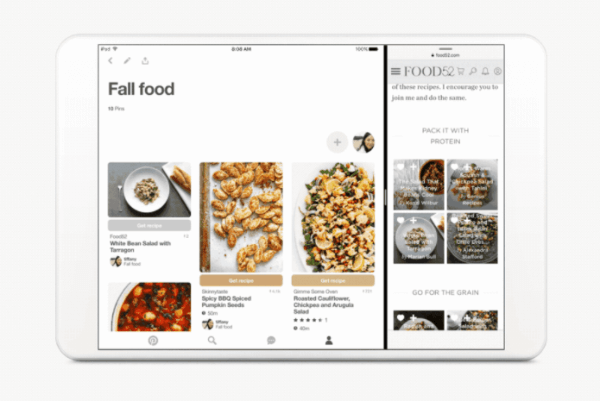 Pinterest Rolled Out New Shortcuts With the iOS 11 Update: Pinterest has made it easier “to save and share Pins from your freshly updated iPad or iPhone” with several new shortcuts for the Pinterest app for iOS. With the recent iOS 11 updates, pinners can now save a pin to Pinterest just by dragging and dropping, drag pins and boards out of Pinterest and into other apps like iMessage, and more. Pinterest has made it easier to save and share pins from your freshly updated iPad or iPhone with several new shortcuts for the Pinterest app for iOS. 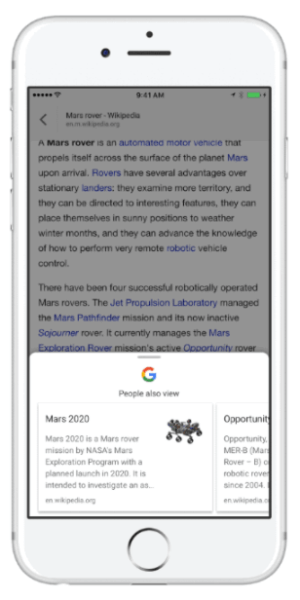 Google Rolls Out New Content Discovery Tool in the Google App for iOS: Google debuted a new exploration and discovery feature that will recommend articles related to what you’re currently reading on the Google Search app on iOS. Suggestions for additional content will automatically appear when the user scrolls down to the bottom of the page. This new recommendation tool is currently only available to iOS users in the U.S.
Google debuts new content discovery tool in the Google app for iOS. Facebook Tests New Snooze Feature for the News Feed: Facebook is testing a new feature that allows users to “temporarily unfollow friends, Pages or Groups for 24 hours, 7 days or 30 days” and “stay connected with the stories they find most relevant.” TechCrunch reports that this “snooze button” has been spotted on desktop sites in the U.S.
Facebook Messenger Now Boasts 1.3 Billion Monthly Users and Messenger Day Hits 70 Million Daily Users: Facebook Messenger Day now boasts over “70 million daily users posting and viewing photos and video slideshows six months after launch,” while the Messenger app now reaches “1.3 billion monthly users” globally. TechCrunch reports that this is up from 1.2 billion in April and 1 billion in July 2016. 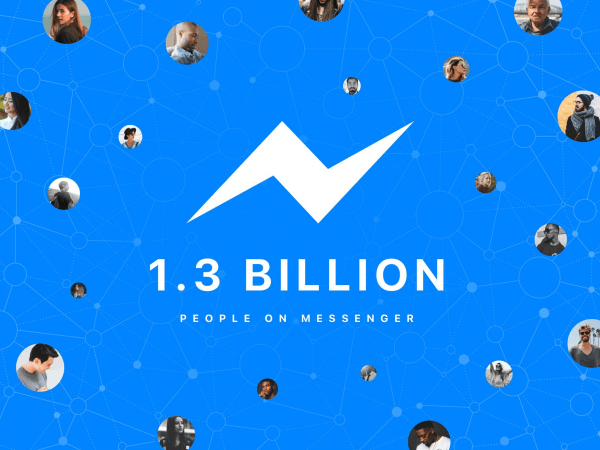 Messenger Day boasts over 70 million daily users, while the Messenger app now reaches 1.3 billion monthly users globally. Facebook Tests WhatsApp Shortcut in Main App: In addition to a direct link between personal Facebook and Instagram accounts on mobile, Facebook also appears to be testing a dedicated shortcut to WhatsApp from the main Facebook app. This new feature has been spotted on Android devices in the main navigation menu of the Facebook app. Facebook Adds Requests to Join Live Broadcasts: Facebook appears to have rolled out the ability to “request to join the broadcaster as a guest” on a Live video. Facebook rolled out the ability for broadcasters to invite a friend into their Live video earlier this year, but this is the first time that audience members can request to join a live broadcast. Facebook appears to offer the ability to request to join the broadcaster as a guest on a Live video. Facebook Introduces Option to Get Messages on Page Posts: Facebook appears to have added the ability to contact a page on Messenger directly from a post with a new Send Message button. Admins have the option to “get messages” on page posts once an image or video is added to a post. 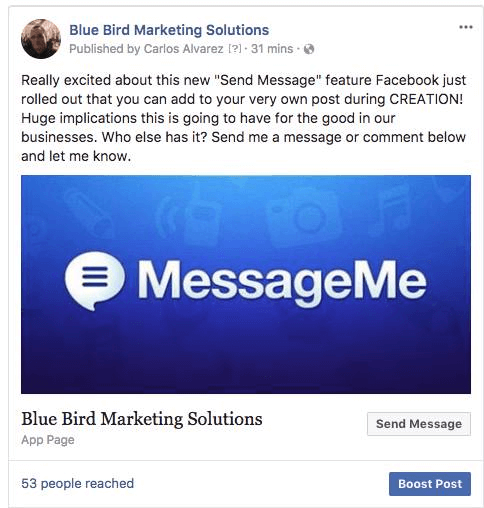 Facebook added the option to include a button to page posts that gives users the ability to reply directly in Messenger. 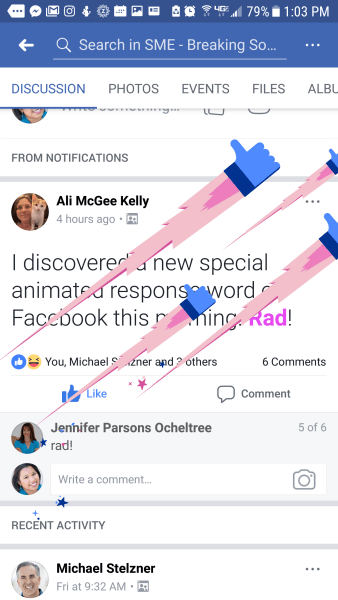 Facebook Adds New Interactive “Rad” Greeting for Posts and Comments: Facebook appears to have rolled out a new interactive feature in which the word “Rad” is highlighted in purple in posts and comments and generates an animated burst of likes that are shot upward like rockets across the screen when clicked. This new feature appears to be available on the news feed, as well as in groups and on pages. Facebook adds new interactive “Rad” greeting to posts and comments. Twitter Rolls Out Popular Articles Tab on Mobile: Twitter released a new Popular Articles tab that highlights the top news items currently being shared or engaged with by people you follow. This new feature shows the article’s link preview but excludes any comments about the stories. Twitter confirmed that Popular Articles is now live globally on the Twitter apps for Android and iOS and can be found on the Explore tab. Google Applies Natural Language Processing to Google Cloud Search: Google announced that it’s now possible to use natural language processing (NLP) technology in Cloud Search to track down information such as documents, presentations, or meeting details. NLP offers a “natural, intuitive way” to request information in the workplace using everyday language while machine learning helps find and access information quickly. 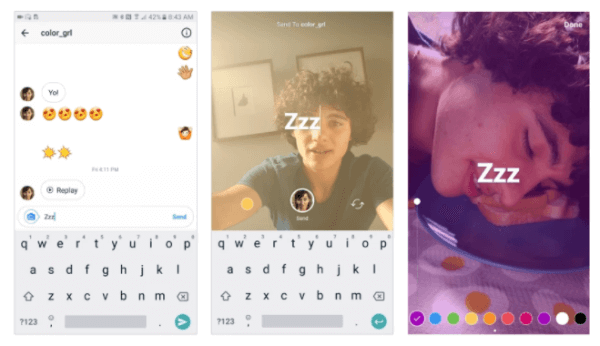 Snap Inc. Debuts First Ads Shot Entirely With Spectacles: Burger King and Sainsbury’s are the first two Snap clients to use Spectacles to shoot ads that appear on Snapchat. Adweek reports that the brands’ ads went live this week, with Burger King’s ad appearing via the app in the U.S. for National Cheeseburger Day. Sainsbury’s, a grocery store chain, has an ad that’s rolling out in the U.K.
Google Earth Features Crowdsourced Images: Google invites users “to explore a global map of crowdsourced photos in Google Earth” on both the desktop or mobile. Google shared that it uses finely tuned machine learning “to pull the most beautiful and interesting photos from the millions and millions already shared in Google Maps by Local Guides and other contributors.” Users can contribute their own photos to the platform. 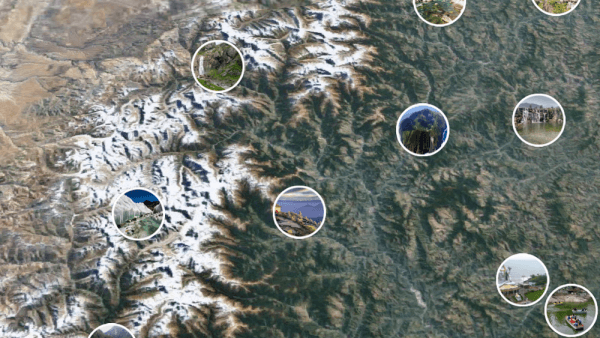 Google invites users to explore a global map of crowdsourced photos in Google Earth on both desktop and mobile. Facebook Tests Online Activity Updates on Profiles: Facebook is testing a new feature that “broadcasts your friends’ online activity status right on their profile page.” Mashable reports that “the feature shows that friends are either ‘Active’ in bright green letters or gives an estimate of how long it has been since they’ve been on Facebook in gray.” Online activity updates have been spotted on a handful of iOS devices but haven’t been seen on Android or desktops. Facebook Developing Voice Chat Device and Smart Speaker: Facebook is reportedly working on a video chat device for the home that will feature a large touchscreen and smart camera technology. A prototype is already being tested in people’s homes and is expected to be debuted as soon as next spring’s F8 developer conference. Facebook is also working on a stand-alone smart speaker that would compete with Amazon Echo and Google Home. This week, Facebook “came out bullish on the promise of voice commands” and touched on ways this technology can be applied in daily life such as search and navigation.